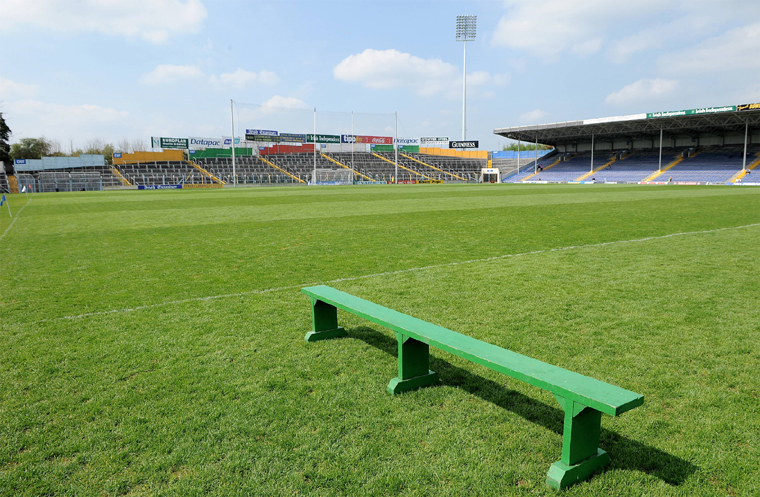 All of this week’s club news, including the details of the up-coming Clean Ireland Recycling county senior hurling semi-final replay between Nenagh Éire Óg and Kildangan at Semple Stadium, Thurles. A replay will be required to separate Éire Óg and Kildangan following a dramatic Clean Ireland Recycling County Senior Hurling Semi-Final played at Semple Stadium, Thurles this evening. It’s down to the last four in the race for the Dan Breen Cup as the semi-finals of the Clean Ireland Recycling County Senior Hurling Championship take place in Thurles. See you all in Semple Stadium, Thurles on Sunday! It’s down to the last four in the race for the Dan Breen Cup as the semi-finals of the Clean Ireland Recycling County Senior Hurling Championship take place in Semple Stadium, Thurles on Sunday, September 29th. At 3.30pm Loughmore-Castleiney face Borris-Ileigh and at 5pm Nenagh Éire Óg take on Kildangan. Only the Ó Riain Stand (‘New Stand’) will be open next Sunday and tickets (priced at €15) can be purchased in advance from Sheedy’s Centra in Nenagh, Shanahan’s Centra in Borrisoleigh, Nugent’s Centra in Templemore and at the ticket booths inside the main entrance gate in Semple Stadium on Sunday afternoon. Nenagh Éire Óg and Kildangan have already encountered one another this season – in the first round of the north championship the sides drew – 0-17 to 1-14. Since Kildangan returned to the senior ranks the sides have met on three other championship occasions – 2012 Nenagh Éire Óg 2-12 Kildangan 2-6; 2010 Nenagh Éire Óg 2-8 Kildangan 3-11; 2007 Nenagh Éire Óg 3-10 Kildangan 2-10. Kildangan are the only reigning divisional champions remaining in this year’s competition following the defeats of Drom & Inch (Mid), Killenaule (South) & Éire Óg Annacarty (West). In all the four remaining clubs have claimed the Dan Breen Cup on just nine occasions – Borris-Ileigh (1949, 1950, 1953, 1981, 1983 & 1986) Loughmore-Castleiney (1988 & 2007) & Nenagh Éire Óg (1995). The semi-final records of the four remaining clubs: Borris-Ileigh (played 15, won 12, lost 3); Loughmore-Castleiney (played 11, won 4, lost 7); Kildangan (played 4, won 2, lost 2) & Nenagh Éire Óg (played 11, won 4, lost 7). The Nenagh Éire Óg senior hurlers, led by team captain Noel Maloney, would appreciate your support in Semple Stadium. The lads have worked incredibly hard this year to represent themselves, their family, their club and their town to the very best of their ability. So, we hope to see you all Thurles! A big week for the Blues as the Éire Óg senior hurlers countdown to Sunday’s county semi-final and our minor hurlers collect a seventh successive north Tipp title in Cloughjordan. The Nenagh Éire Óg minor panel pictured in the wake of Sunday evening’s frantic final played at Cloughjordan – our thanks go to Caoimhe Geaney for this terrific photo! Senior: The Nenagh Éire Óg senior hurlers, led by team captain Noel Maloney, would appreciate your support in Semple Stadium, Thurles on Sunday evening, September 29th when the Blues take on Kildangan in a Clean Ireland Recycling County Senior Hurling Semi-Final (throw-in 5pm). This game will be preceded by the clash of Loughmore-Castleiney & Borris-Ileigh in their corresponding semi-final (throw-in 3.30pm). The lads have worked incredibly hard this year to represent themselves, their family and their town to the very best of their ability. So, we hope to see you all Semple Stadium! Minor: On Sunday evening last our minor hurlers completed a seven in-a-row of north titles when they defeated Toomevara after extra time in Cloughjordan. After the sides finished level at 2-14 each Éire Óg got the upper hand in extra-time to win by 4-22 to 3-20. Well done to the panel of players and the management team. The west champions will provide the opposition in the county semi-final. The time, venue and date for that fixture will be confirmed in due course. For a full report on Sunday evening’s dramatic win over Toomevara please click here. Nenagh CBS get their 2013-14 Dr Harty Cup campaign underway this week with a number of Éire Óg players expected to feature. On Wednesday, September 25th Nenagh CBS face Midleton CBS in Charleville at 1.30pm. Midleton CBS knocked Nenagh CBS out of the competition last year. So, your support would be appreciated. Nenagh CBS’ remaining group games are against Blackwater Community School (October 23rd), Rochestown (November 6th) & Dungarvan CBS (November 20th). The quarter-finals are scheduled to take place on January 15th, the semi-finals on February 1st and the final on February 23rd. 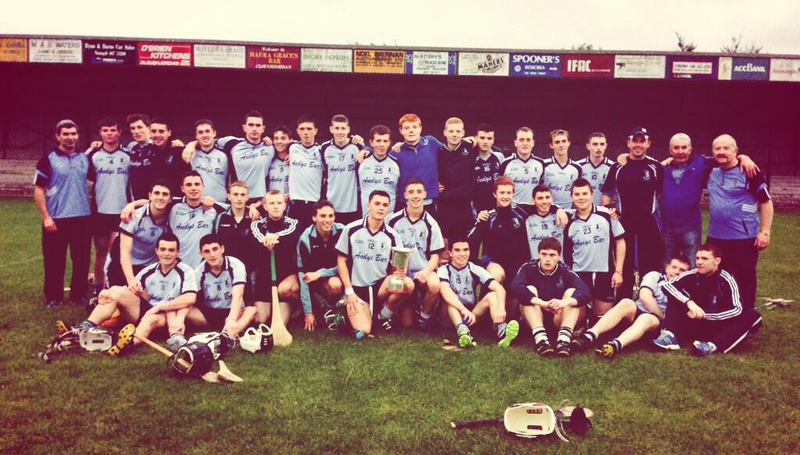 Despite winning the 2012 All-Ireland A Colleges title Nenagh CBS have never won the Harty Cup. Under-10: Our under-10 team had a fantastic challenge game last week against Ballina. Thanks very much to Ballina for playing us. The girls also played in a blitz in Puckane last Saturday against Portroe, Silvermines and the hosts Kildangan. It was an excellent day out and thanks to Kildangan for their hospitality. Under-12C: Our under-12C team played Lorrha-Dorrha last Saturday and unfortunately came up short against a very good side. Under-12A: The under-12A side played Kilruane on Monday in Nenagh. Under-14: The under-14 girls were beaten by Lorrha-Dorrha by four points last Tuesday, but made up for this result defeating Shannon Rovers last Friday by the minimum of margins. Juniors: The juniors are playing Knockavilla Kickhams in their final group game of the championship on Sunday in Dundrum at 12 noon. Best Wishes: The Camogie club would like to wish the senior hurlers and management team the very best in their county semi-final this weekend against neighbours Kildangan. Under-8: Our under-8 blitz was a roaring success last Saturday morning with the weather helping out in a big way. The team management would like to thank all the lads, our own and visitors, for a great mornings hurling with games against Sixmilebridge, Ahane and Toomevara. Thanks to the parents for the refreshments and to the juvenile club for providing meals for all. Under-10: More challenge matches are being planned. Further information will be available from the management team later this week. Under-16: The under-16 hurlers bowed out of the championship with honour on Saturday after losing a semi-final replay against Newport by a single point following over 140 minutes of hurling. This squad showed tremendous character and resilience throughout the year, and won huge respect for the way they represented themselves, their families, Nenagh Éire Óg and their town. This summer will stand to them as under-16s and minors over the next two years as there is huge potential in this team. We would like to thank the parents and families of the squad for all the help and support provided. The full-time score in the semi-final replay was: Nenagh Éire Óg 2-19 Newport Gaels 4-14. The juvenile club would also like to thank the management team of Michael Grey, Paudie Gleeson and Christy McLoughlin for all their hard work and enthusiasm throughout the year. Thurles: The juvenile club are look forward to seeing all the boys in Thurles on Sunday for the senior county semi-final. Wear your jerseys proudly lads and support your club! There will be a registration night for Nenagh Handball Club on Thursday, September 26th at 8pm in the Éire Óg complex. New members welcome. Membership is free for all Nenagh Éire Óg members and is €20 for all others with a maximum of €30 per family. We wish the best of luck to Sinéad Meagher in her All-Ireland final on Sunday in Garryhill, Co. Carlow and to Eamon Spillane and Gerry Foley as they compete in the Emerald Masters All-Ireland final in Ballina (Tipperary) on Saturday at 3pm against a Galway pairing. Our September edition is due out on the 30th of this month. We ask all managers of the Camogie teams to please submit photographs and reviews of how their respective teams have done so far this year. If anyone has anything that they would like to include in the newsletter please email eireognenagh@gmail.com. The August edition of the club newsletter is now available. Thanks again to the club communications sub-committee and especially to Catherine McTiernan for pulling all the information together. Click here for the August edition of the club newsletter. We are always looking for people to contribute to the newsletter. So, if you have any news, articles, photographs or anything else that might be of interest please email eireognenagh@gmail.com. Nenagh Éire Óg made history on Sunday evening at Cloughjordan when winning the north Tipperary minor A hurling title for the seventh successive time following a thrilling win over Toomevara. The Nenagh Éire Óg minor panel pictured in the wake of this evening’s frantic final played at Cloughjordan – our thanks go to Caoimhe Geaney for this terrific photo! Nenagh Éire Óg made history on Sunday evening at MacDonagh Park, Cloughjordan when winning the north Tipperary minor A hurling title for the seventh successive time – previously Éire Óg (2007-12), Roscrea (1958-63) & Toomevara (1993-98) had won six in-a-row, but this latest victory for the Blues marks an unprecedented departure. The drama at MacDonagh Park in Cloughjordan was excruciating. Having trailed 0-7 to 0-9 at the interval Éire Óg stormed into a 2-13 0-11 lead with just then minutes to play. To their credit, however, Toomevara responded brilliantly and struck for an equalising goal in the fourth minute of injury time. The Greyhounds carried that momentum into extra-time and led 3-17 to 2-15, but the Blues responded in kind and powered their way to a famous win out-scoring Toome 2-7 to 0-3 during the remaining minutes of this frantic affair. The sides traded points early on before Toomevara, who were playing with the wind in the first half, scooted into a 0-4 to 0-2 lead by the 14th minute – Killian Gleeson and Donnacha Quinn were responsible for the Éire Óg scores. Points from Donnacha Quinn and Philip Hickey dragged the Blues to within a point of Toome by the 18th minute (0-4 to 0-5) before the Greyhounds edged two points clear. The Blues responded, however, through Philip Hickey and Donnacha Quinn before ‘keeper Brian Gubbins made a sensational save to deny Toome a certain goal in the 28th minute. Seconds later Gubbins saved once more at his near post. An Andrew Coffey point in the 30th minute levelled matters, but Toomevara closed out the opening half with two converted frees to lead 0-9 to 0-7 at the break. The sides traded points early in the second half before Éire Óg took the lead for the first time when Philip Hickey flicked in Andrew Coffey’s delivery in the 36th minute – 1-8 to 0-10. Within a minute of that strike Andrew Coffey buried a second Éire Óg goal and, suddenly, the Blues led by four – 2-8 to 0-10. Anthony Walsh added a point, but Toomevara responded with a free to leave four between them (2-9 to 0-11). Éire Óg continued to pile on the pressure with points from John Cahalan, James Mackey (two) and Donnacha Quinn helping Éire Óg into a 2-13 to 0-11 lead by the 49th minute. Toomevara struck back with a goal of their own in the 50th minute and when the Greyhounds added a point to their tally there was just four in it – 2-13 to 1-12. A Killian Gleeson point left five between them on the hour mark, but there was still time for Toomevara to convert a ’65 and a free before Toome forced extra-time with a stunning goal in the 64th minute – 2-14 apiece. A Philip Hickey point in the first minute of extra-time forced Éire Óg back into the lead, but Toomevara landed three points and what looked like a vital goal to race five points clear – 3-17 to 2-15. In the eighth minute of extra-time a sensational Anthony Walsh goal lifted Éire Óg before points from James Mackey and John Cahalan levelled matters on the stroke of half-time in extra-time – 3-17 apiece. Immediately after the break ‘keeper Brian Gubbins made another telling save. Éire Óg counter-attacked and a James Mackey point helped the Blues back into the lead. A converted Toomevara ’65 levelled matters before this final reached a critical juncture four minutes into the second half of extra-time – Donnacha Quinn’s long-range free dropped short and Christopher Ryan belted home the dropping ball (4-18 to 3-18). Éire Óg had already fired eighteen wides (Toomevara eight), but the Blues stormed toward the final whistle with points from Philip Hickey, Christopher Ryan (two) and Anthony Walsh propelling Nenagh to a famous win. Following referee Pat Gibson’s final whistle competition sponsor Ger Gavin presented the Michael ‘Spike’ Nolan Cup to Nenagh Éire Óg captain Killian Gleeson and vice-captain Gary Howard. The club would like to thank the management team of Greg Browne, Con Morris and Michael McNamara for their terrific work in preparing this side. We would also like to thank this panel of players for representing the club is such a magnificent manner. It is interesting to note that all 4-22 of Éire Óg’s scores came from play – in all referee Pat Gibson awarded Toomevara twenty frees and the Blues six. It should also be noted that Toomevara contributed magnificently to this decider. The Greyhounds were a credit to themselves, their manager, their club and everyone associated with the preparation of the team. Nenagh Éire Óg: Brian Gubbins, Conor Ryan, Michael Collins, Ger O’Gorman, Aodhán Geaney, Barry Heffernan, Jack Molamphy, Andrew Coffey (1-1), James Mackey (0-5), Killian Gleeson (captain, 0-2), Donnacha Quinn (0-4), John Cahalan (0-2), Gary Howard, Philip Hickey (1-4), Anthony Walsh (1-2). Subs: Brian Flynn for Gary Howard, Christopher Ryan (1-2) for Ger O’Gorman. Panel members: Aaron Hogan, Aidan Healy, Gavin O’Connor, Oisín Ryan, Paul O’Leary, Jack Sheedy, Niall O’Gorman, Michael Hallinan, Luke Kennedy, Shane Hennessy, Brian Tuite, Peter O’Reilly, Adam Carey, Gerard Mitchell. Éire Óg’s path to this final: beat Newport Gaels 1-18 to 0-17; beat Borris-Ileigh 2-19 to 1-11; lost to Roscrea 1-17 to 2-17; beat Toomevara 3-13 to 2-12, received a walk-over from Kilruane MacDonagh’s; beat Kildangan 2-23 to 5-7; beat Borris-Ileigh in the semi-finals 1-20 to 1-9. Previous to Sunday Éire Óg had faced Toomevara in six north Tipperary minor hurling finals – winning in 2011, 1979 and 1955, losing in 1932, 1997 and 1998. Roscrea (31): 1928, ’29, ’30, ’31, ’34, ’35, ’43, ’44, ’45,’46, ’50, ’58, ’59, ’60, ’61, ’62, ’63, ’65, 66, ’67, ’68, ’74, ’75, ’76, ’80, ’83, ’84, ’88, ’99, ’01, ’03. 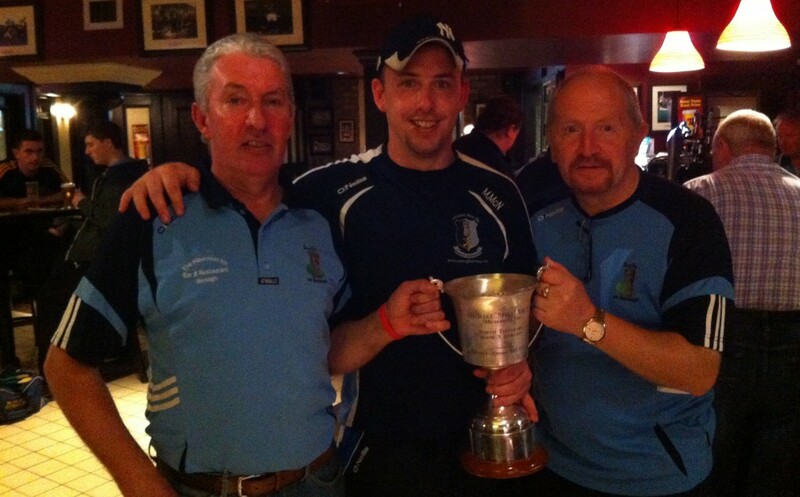 Nenagh Éire Óg (21): 1938, 1947, 1948, 1949, 1951, 1953, 1955, 1969, 1977, 1978, 1979, 1989, 1991, 1992, 2007, 2008, 2009, 2010, 2011, 2012, 2013. Toomevara (15): 1932, ’37, ’54, ’56, ’81, 82, ’85, ’86, ’87, 93, ’94, ’95, ’96, 97, ’98. Kilruane MacDonagh’s (8): 1952, ’64, ’71, ’72, ’73, ’04, ’05, ’06. Another dramatic week for the Blues with the seniors battling their way into the county semi-finals, the under-13s collecting the north Tipperary plate and the under-16s going to a replay! Well done to the Nenagh Éire Óg under-13 hurling team which won the final of the north Tipperary plate against Toomevara on Friday night at MacDonagh Park, Nenagh. Senior: On Saturday afternoon last in Templemore our senior hurlers defeated Drom & Inch by the narrowest of margins to reach the semi-finals of the Clean Ireland Recycling county senior hurling championship – final score: 1-15 to 2-11. For a report on Saturday’s game please click here. The draw for the semi-finals took place Monday evening and pits Nenagh Éire Óg against the winner of the quarter-final replay between Kildangan and Clonoulty-Rossmore (that replay is scheduled to take place on Saturday at 4pm in Dolla). On the other side of the draw Borris-Ileigh face Loughmore-Castleiney. Both semi-finals will take place on Sunday, September 29th with the expectation being that both games will take place in Semple Stadium, Thurles. Minor A: Our minor hurlers take on Toomevara in the north final this weekend. See fixtures for details. Under-21: Preparations are underway for the forthcoming north Tipperary under-21A hurling championship – a competition Éire Óg has not won since 1994. Ger Tucker will manage the fortunes of our under-21 hurlers this year. Eight teams take part in the championship which will be run on a knock-out & loser’s group basis. This coming weekend Borris-Ileigh face Burgess while Kilruane MacDonagh’s take on Roscrea. Meanwhile Lorrha will face Toomevara and Nenagh Éire Óg will take on Kildangan in the remaining opening round of games. Fixture details to be confirmed. Congratulations: Congratulations and best wishes to former Éire Óg hurler Willie Bolger who has been named on the Western Australian state hurling team and will play in the All-Australian finals in two weeks’ time. The Éire Óg senior hurlers pictured on the field following the victory over Drom & Inch on Saturday. Under-13: The under-13 girls won their semi-final in the league against Newport and have qualified for a place in the final against Ballina. In what was a busy week for them they also made the trip to Templeogue to play in the St Jude’s All-Ireland seven-a-side competition. 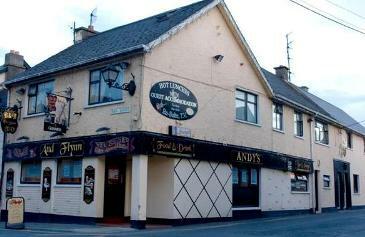 They were beaten in the quarter-finals by Galway side Sarsfields New Inn. The girls had a great day out and were warmly welcomed and treated by St Jude’s. We wish to thank everyone involved for the great day out and the generous and kind way that we were treated. Under-14: The under-14C team are playing their first game of the league this Tuesday against Lorrha-Dorrha in Lorrha. Tipperary Under-14: The Tipperary under-14 teams played in a blitz in Dublin over the weekend. Managed by Martin Ryan we had fourteen girls on the three panels. Well done girls and keep up the great work. Sympathy: We extend our sympathies to the family of the late Frank Manning following his passing recently. 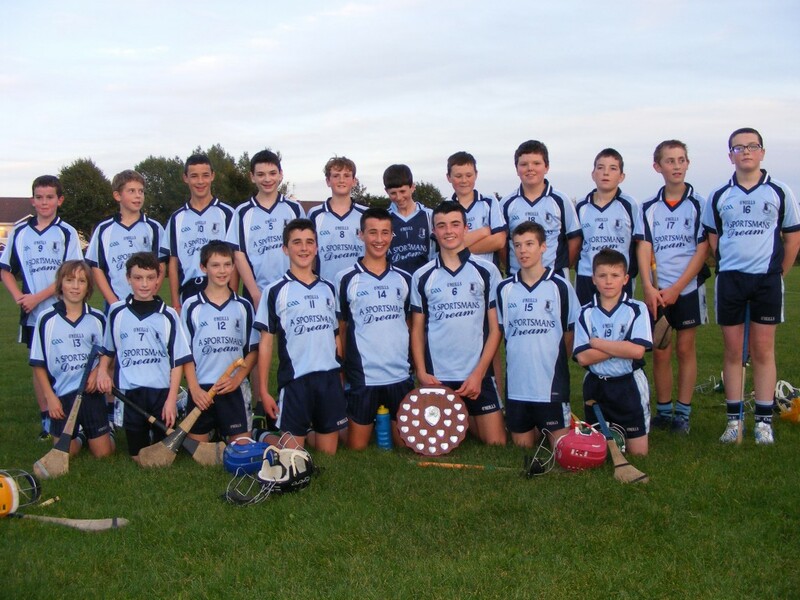 Well done to the Nenagh Éire Óg under-13 hurling team which won the final of the north Tipperary plate against Toomevara on Friday night at MacDonagh Park, Nenagh. 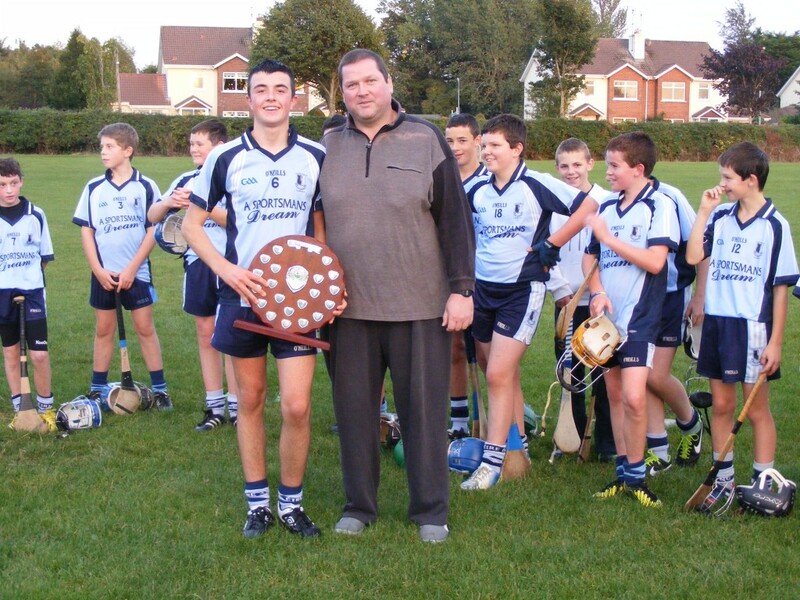 Thankfully club legend Christy McLoughlin was on hand to present the trophy to under-13 captain Evan Murphy. Under-8: Our under-8 teams will welcome Ahane, Sixmilebridge and Toomevara to a blitz in Nenagh next Saturday, September 21st – more details available from the team management. Under-10: Thanks to Kildangan for hosting an under-10 challenge match on Wednesday evening last. It was a great game boys! Keep up the good work! Under-13: Well done to our under-13 hurlers who won the North Tipperary Plate on Friday last with a victory over neighbours Toomevara. In a competitive game of hurling Éire Óg led at the break by 1-2 to 0-4 with the goal coming from the stick of Seán Shanahan. The Blues dominated the second half with a second goal from Seán Phelan sealing the victory on a scoreline of 2-9 to 0-5. Panel: Scott O’Brien, Liam Heffernan, Rory O’Donovan, Mark Carey, Fiachra Starr, Evan Murphy, Gavin Dooley, Cian O’Farrell (0-1), Conor Hennessy, Daniel Molamphy (0-1), Barry Coffey (0-6), Seán Phelan (1-1), Stevie Hallinan, Seán Shanahan (1-0), Luke O’Carroll, Conor Sullivan, Brendan Long, Conor Malone & Cian Griffin. The team and management send best wishes to Mark Carey for a speedy recovery from an injury picked up during the game. Under-16: The Nenagh Éire Óg under-16A hurlers drew their north semi-final (AET) against Newport in Dolla on Monday evening – 2-12 apiece. Replay TBC. In their corresponding semi-final Kilruane MacDonagh’s beat Roscrea 3-9 to 2-4. Tipperary: Well done to Mark O’Farrell and Jake Morris who played in the Sonny Walsh Cup in Waterford for the Tipperary under-14B team. They were beaten by eventual winners Kilkenny in the semi-final by a point. Also well done to Anthony Walsh who played with Tipperary under-16B team which reached the final of their respective competition only to lose to Cork. Congratulations to Sinéad Meagher on her semi-final victory in Tyrone at the weekend. She now plays in her first All-Ireland final in two weeks’ time against Holly Hynes of Wexford in the 60×30 girls under-14 singles. 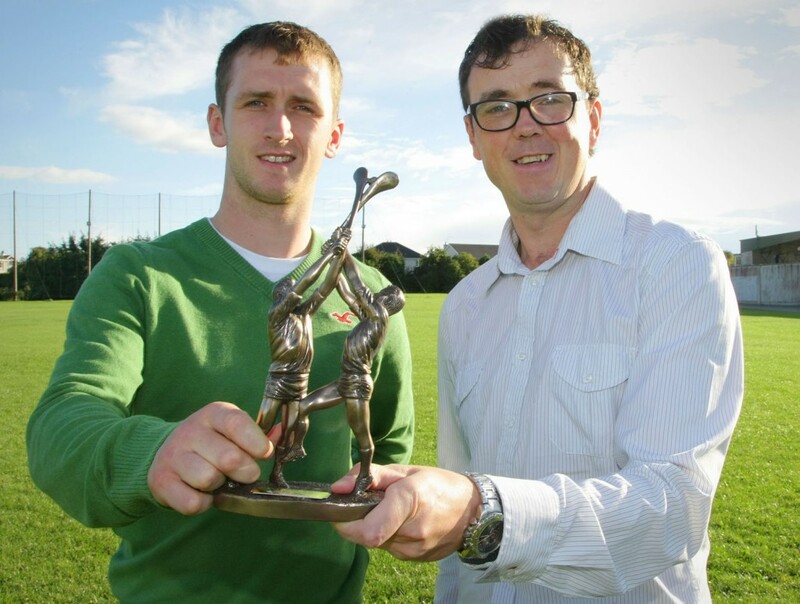 Hard luck to Eamon Spillane who was defeated in his All-Ireland match in Carlow on Sunday. He is not out of the running for medals yet though as he has another All-Ireland final in two weeks’ time in the 60×30 Diamond Masters Doubles. Nenagh Handball Club will hold a meeting at 8pm on Thursday, September 19th at the Nenagh Éire Óg complex for all players, parents and anybody interested in taking up handball. The club would especially welcome anyone who would have some time to help out in any way. Liam Heffernan’s determined Nenagh Éire Óg senior side saw off the 2011 Tipperary county senior hurling champions Drom & Inch in a ferocious county quarter-final battle at Templemore this afternoon. The Éire Óg players pictured in Templemore after this afternoon’s dramatic quarter-final. The Blues saw off the 2011 county senior hurling champions Drom & Inch after a ferocious battle at Templemore this afternoon. Éire Óg started well and led 1-8 to 0-6 at the break. Drom & Inch responded to the challenge like champions in the second half and with ten minutes to play there was just a single point between them (1-12 to 1-11). Despite playing into the wind Éire Óg settled to their task once more and charged into a 1-15 to 1-11 lead before a late David Butler goal left a single point between them. Tommy Heffernan and Séamus Callanan (free) traded early efforts before a searching Billy Heffernan delivery in the third minute broke to Paddy Murphy following Trojan work from Richie Flannery; Murphy made no mistake and smacked home a left-handed goal – 1-1 to 0-1. Drom & Inch responded with two efforts (1-1 to 0-3) before points from Paddy Murphy (two), Michael Heffernan (two) and Tommy Heffernan helped a rampant Éire Óg into a 1-6 to 0-3 lead by the 19th minute. Johnny Ryan and David Collins responded for Drom & Inch, but efforts from Michael Heffernan and Richie Flannery forced Éire Óg back into a six-point lead (1-8 to 0-5) by the 25th minute. A Séamus Callanan free closed out the opening half and the sides retired with five between them. Points from Michael Heffernan and Kevin Tucker (free) during the opening six minutes of the second half opened a seven-point gap (1-10 to 0-6) before Drom & Inch responded with three points of their own to leave four between them in the 44th minute. A Michael Heffernan brace restored Éire Óg’s six-point advantage (1-12 to 0-9) with fourteen minutes to play. Séamus Callanan roused the Drom & Inch supporters with a terrific left-handed point in the 47th minute and a minute later Callanan struck for a goal to leave just two between them. Callanan then struck for another point; with the deficit reduced to the minimum (1-12 to 1-11) and Drom & Inch playing with the wind you could have been forgiven for fearing for the Éire Óg lads. The Blues, however, responded to the challenge in great style. Éire Óg stood their ground and after seven scoreless minutes Michael McNamara picked out Michael Heffernan and Mikey drilled over a superb point to settle the nerves. A minute later Paddy Murphy swung over another while Richie Flannery forced Éire Óg into a four-point advantage in the first minute of injury time. A David Butler goal in the 62nd minute left one between them, but Éire Óg, deservedly, found themselves celebrating at the final whistle. Nenagh Éire Óg: Michael McNamara, Mark Flannery, Noel Maloney (captain), John Brennan, Daire Quinn, Hugh Maloney, Billy Heffernan, Barry Heffernan, Kevin Tucker (0-1, 0-1 frees), Paddy Murphy (1-3), Michael Heffernan (0-7, 0-1 frees, 0-1 ‘65), Pearse Morris, Brian Quinn, Richie Flannery (0-2), Tommy Heffernan (0-2). Subs: (HT) James Mackey for Tommy Heffernan, (42nd) Killian Gleeson for Brian Quinn, (51st) Donnacha Quinn for James Mackey, (56th) Seánie Geaney for Pearse Morris. The countdown is well and truly on for Saturday’s Clean Ireland Recycling county senior hurling quarter-final against 2012 champions Drom & Inch in Templemore. Read on for this week’s notes. With the under-21 hurling championship due to start very shortly how about the above for a blast from the past? Pictured above are the 1980 under-21 team which beat Éire Óg (a combination of Mullinahone & Killenaule) 6-8 to 1-9 in the county final. 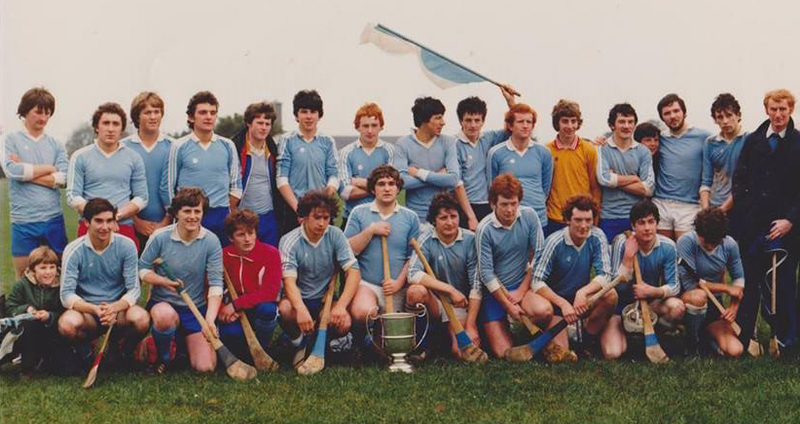 The Blues beat Lorrha in the north final thirty-three years ago. Back from left: Chris O’Halloran, Paddy Power, Murt O’Connor, Ger O’Brien, Jim Ryan, Jim Nagle, Phil Hennessey, Michael McGrath, John Heffernan, Conor Ryan, Séamie Kennedy, Séamus Brereton, Cyril Griffin, Michael Griffin, Brian Heffernan & John Tucker. Front from left: Edward Tucker (mascot), Jim O’Sullivan, Seán Minogue, Michael Gavin, Pat Lee, PJ Maxwell, Roger Coffey, Philip Kennedy, Michael Kennedy, Michael Ryan & Denis Finnerty. Senior Hurling Championship: Following Saturday evening’s draw the Blues will face Drom & Inch on Saturday, September 14th at 4.30pm in Templemore in the Clean Ireland Recycling County Senior Hurling Quarter-Finals. The game will be preceded by the quarter-final clash between Killenaule and Loughmore-Castleiney at 3pm. Meanwhile on Sunday afternoon in The Ragg Kildangan face Clonoulty-Rossmore (2pm) and Éire Óg Annacarty take on Borris-Ileigh (3.30pm). Drom & Inch will enter the game as red-hot favourites. Teddy Kennedy’s men won the county title as recently as 2012 and lost last year’s final against Thurles Sarsfields. The forthcoming quarter-final will represent the Blues’ 17th appearance in the last eight (Éire Óg have won nine of their quarter-final appearances to date and lost seven – Éire Óg made their first appearance in the quarter-finals in 1982 and their most recent in 2011). Junior A Hurling Championship: On Saturday evening last in Puckane our junior A hurlers were defeated in the semi-final of the championship by Knockshegowna. Éire Óg made a positive start and led by three points at half-time with goals from Paul Ryan and Conor Kirwan. Knockshegowna stormed into the second half with three goals of their own and ran out four-point winners on a score line of 3-11 to 2-10. The club would like to thank the management and players for their efforts throughout the year with the league final victory the highlight of the year. For a full report on this semi-final please click here. Minor A Hurling Championship: Our minor hurlers will play Toomevara in this year’s north final. This game will take place in the coming weeks. Fixture details to be confirmed. Mikey Heffernan pictured accepting the GAA Player of the Month award for July in recognition of his outstanding performances in the Clean Ireland Recycling county senior hurling championship. The award was presented by Bill Ryan of Clean Ireland Recycling. Under-10: The under-10 team are playing Kildangan at 6pm on Wednesday. Under-13: The under-13s had a great win over Éire Óg Annacarty on Friday last in the league. They are due to play Newport on Wednesday evening in the semi-final in the Ragg at 6.30pm. They are also due to play in the St Jude’s, Templeogue seven-a-side tournament this Saturday in Dublin. Under-14C: Under-14s are due to play Portroe Friday evening in the league in Portroe. 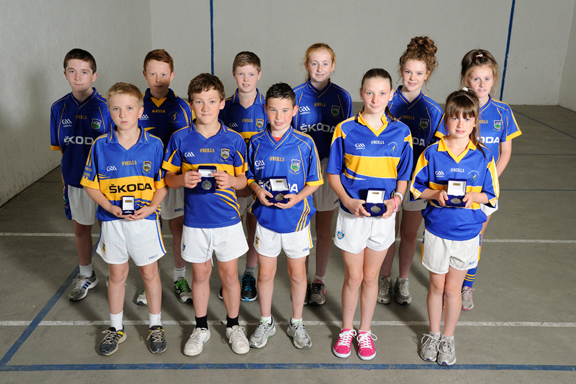 Under-12: The under-12s took part in a blitz at the weekend in Borrisoleigh. They played four games, winning two and drawing the other two. Thanks to the organisers of the blitz, the girls had a great day out. Minor: Our minor team beat Clonoulty-Rossmore in Clonoulty in their final group game on Tuesday last 4-15 to 0-10. This completes the group stage of the competition and we have finished top and have qualified for the county semi-finals. Junior: Our Junior team played Moneygall on Saturday last in their opening game in the championship. The team enjoyed a comfortable win on a scoreline of 7-15 to 0-1. Éire Óg are due to play Knockavilla Kickhams on September 29th in Dundrum in their next outing. Here is another blast from the past. 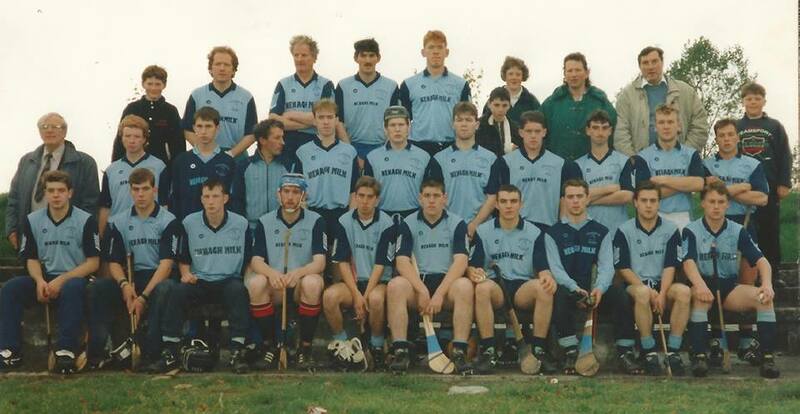 This time it is the junior B team of 1994 which won the north final after defeating Toomevara in Templederry. The team reached the county final where the Blues were beaten by a single point against Carrick Swan. Unfortunately we have not won a junior B north championship since. Under-6, Under-8 & Under-10: Training continues on Wednesdays and Saturdays. Under-12: Training is on Saturdays only for the month of September. Under-16: The under-16A championship semi-final is scheduled to take place on Monday, September16th where we will play the winners of Newport v Ballina. For further details keep an eye on our Twitter feed, please check www.nenagheireog.com or the Nenagh Éire Óg Facebook page. Congratulations: Congratulations to Anthony Walsh who was a member of the Tipperary under-16B team which made it to the All-Ireland final recently but lost to Cork in recent weeks. Our congratulations also go to under-14s Mark Farrell and Jake Morris who played on the Tipperary under-14B team which was beaten by eventual champions Kilkenny in the semi-final of the Sonny Walsh Cup in Waterford recently. We wish the best of luck to Eamon Spillane who will take on Louth opposition in the 60×30 Emerald Masters All-Ireland Final next Saturday in Carlow. Good luck also to Sinéad meagher who competes in the under-14 singles 60×30 All-Ireland semi-final in Tyrone next weekend. Congratulations to Aaron Hogan and Eoin Meagher who won the section two Paddy Kelly Memorial Tournament in Lahorna last weekend. The Family Fun Day was great success with everyone have great fun, food and some amazing dancing was witnessed on the dance floor. No one in the club knew Shane Connelly and Denise Morris could ‘boogie’ like that. Thanks to everyone who helped make it such a great success. 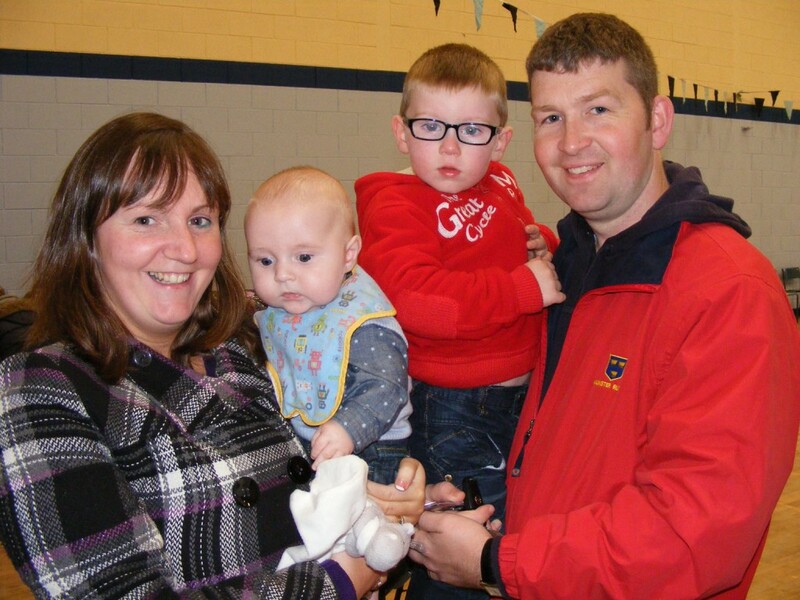 Nenagh Éire Óg chairman Jim Nagle, Camogie club chairperson Denise Morris and juvenile club chairman Michael Geaney pictured at the Nenagh Éire Óg Family Fun Day. ‘Gathering’ and Family Fun Day. Nenagh man, Shane Delaney, had an accident earlier this year in Australia and suffered damage to his spinal cord leaving him paralysed from the chest down. After having surgery in Australia Shane returned to Ireland near the end of June and has been working hard at his rehabilitation in Dun Laoghaire for the past few weeks. He is extremely positive and mentally strong and has been an inspiration to our whole community. Shane and his family have strong links to the Nenagh Éire Óg club with both himself and his brothers, David and Liam, representing the club at juvenile level and remaining strong supporters throughout. Nenagh Éire Óg has joined together with Nenagh Ormond RFC, Nenagh AFC and Nenagh Celtic to organise a huge fundraising event for Shane on Sunday, September 14th. Tickets for the event are priced at €20 each, are now on sale for this event and are available from club officers and committee members. Please support this very worthy event! Nenagh Éire Óg’s reign as Watch Centre north Tipperary junior A hurling champions came to a dramatic end at Puckane on Saturday evening when the Blues were beaten by Knockshegowna. 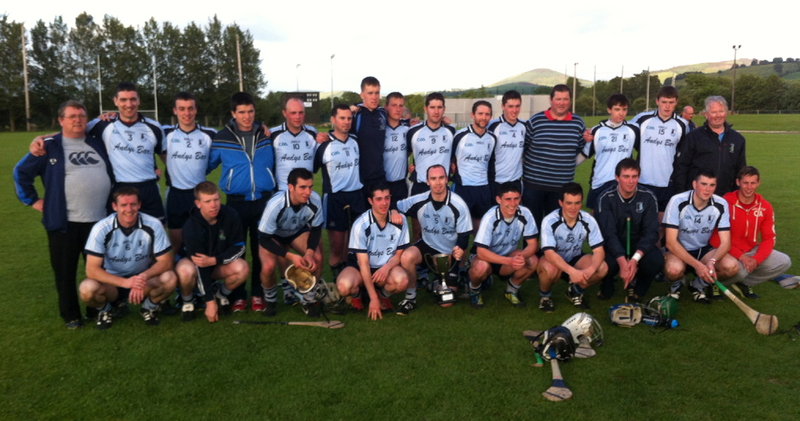 The Éire Óg team which won the north Tipperary junior league title this year. Éire Óg’s reign as north Tipperary junior A hurling champions came to an end at Puckane on Saturday evening when the Blues were beaten by a superb Knockshegowna team. Éire Óg played with the breeze in the opening half and led 2-5 to 0-8 thanks to goals from Paul Ryan and Conor Kirwan. Knockshegowna, however, notched three goals in the opening twelve minutes of the second half to establish a lead which Knockshe refused to relinquish thereafter. Having lost to Knockshegowna (0-19 to 3-15) during the league Éire Óg knew they were up against it in this encounter. Indeed, Éire Óg began in determined fashion with a Paul Ryan goal in the third minute – a terrific interception by Michael Collins and a clever Michael Hackett delivery featured in the build-up before Ryan beat the Knockshe ‘keeper with a smart left-hand shot. David Hackett added to the Éire Óg tally with a point from play, but Knockshegowna hit back with three points to leave one between them (1-1 to 0-3) by the tenth minute. A Michael Hackett point forced the Blues two clear, but Knockshe responded with a brace of their own to tie the game in the 13th minute. Éire Óg were fortunate to notch a second goal in the 14th minute when the Knockshe ‘keeper spilled Gary Howard’s delivery and Conor Kirwan was on hand to smack in the loose ball – 2-2 to 0-5. Three David Hackett frees kept the scoreboard ticking over prior to the break from an Éire Óg point of view, but Knockshegowna regularly threatened and trailed by just three points at the break – 2-5 to 0-8. Indeed, Knockshe came close to scoring a goal in the 27th minute, but Kevin Flynn pulled off a neat save at his near post. Knockshegowna were not to be denied, however, in the opening minute of the second half when the Knockshe lads scooted in for their opening goal – 2-5 to 1-8. Six minutes later a Paul Ryan point helped Éire Óg back into the lead, but, in the 38th minute, Knockshe struck for a vital three-pointer when the Blues’ full-back line coughed up a penalty for a third-man tackle and, suddenly, Nenagh trailed 2-6 to 2-8. Four minutes later Éire Óg conceded a third goal when the ball broke inside the full-back line and Knockshegowna helped themselves to an opportunist strike – 2-6 to 3-8. Éire Óg soon settled back down to their work with points from David Hackett (free) and Conor Ryan reducing the gap to three points by the 48th minute. The sides then traded points to leave three between them (2-10 to 3-10) with five minutes to play. A Knockshegowna point in the 56th minute opened a four-point gap and despite the best efforts of the Blues Éire Óg failed to score a goal which could have rescued the situation. Indeed, the Knockshe ‘keeper made a terrific save to deny Darragh Walsh a certain goal in the 63rd minute. Our thanks go to the management team of Martin Morris, Michael Ryan and Christy McLoughlin who put such a great effort into preparing this team. We wish Knockshegowna all the very best in the north final. Nenagh Éire Óg: Kevin Flynn, Lenny Ryan, John O’Donoghue, Michael Collins, Conor Ryan (0-2), Niall Cahill, Donnacha Heffernan, Brian Maxwell, Eoin Fitzgibbon (captain), Gary Howard, Paul Ryan (1-1), Bob O’Brien, David Hackett (0-6, 0-5 frees), Conor Kirwan (1-0), Michael Hackett (0-1). Subs: (42nd) Philip Hickey for Bob O’Brien, (46th) Darragh Walsh for Brian Maxwell, (51st) Aodhán Geaney for Michael Collins, (55th) Paddy Harrington for Conor Kirwan. Another hectic week for the club with plenty of ups and downs – well done to the Éire Óg minor A hurlers who qualified for the north final against Toome. County Senior Hurling League: Our senior hurlers were defeated by Burgess in the replayed Fr Fogarty Cup final on Sunday afternoon last in Toomevara – the final score was: 1-14 to 1-19. Click here for the match report. Clean Ireland Recycling County Senior Hurling Championship: Nenagh Éire Óg and Loughmore-Castleiney qualified for the county senior hurling championship quarter-finals with recent wins over Silvermines and Roscrea respectively. The forthcoming quarter-final will represent the Blues’ 17th appearance in the last eight (Éire Óg have won nine of their quarter-finals to date and lost seven – Éire Óg made their first appearance in the quarter-finals in 1982 and their last in 2011). Éire Óg’s opposition in the quarter-finals will be known this weekend following a draw which we expect to made on Saturday evening in Holycross following the last two games in round four of the senior championship: Borris-Ileigh v Carrick Swan (2.30pm) and Toomevara play Clonoulty-Rossmore at 4.30pm. Éire Óg will face one of the seeded divisional champions – Kildangan (north), Killenaule (south), Éire Óg Annacarty-Donohill (west) or Drom & Inch (mid). Minor A Hurling: On Monday evening our minor hurlers saw off Borris-Ileigh (1-20 to 0-9) in the semi-final of the Ger Gavin North Tipperary minor A hurling championships in Dolla. In their respective semi-final Toomevara enjoyed a highly-impressive 1-19 to 1-10 win over Roscrea. The date, time and venue for this final is yet to be confirmed. Under-6: Both under-6 teams hosted their Roscrea counterparts in Nenagh on Saturday morning. Great fun was had by all. Under-8: Our under-8 hurlers brought the Jack Ryan Cup home to Nenagh from Roscrea for the first time in four years last Saturday morning in what was a great day of hurling for all the teams involved. Our boys put in super performances and it was great to see how much they have all improved since the year started. Keep up the good work lads. Our thanks to Roscrea for another well run tournament and to all the parents who travelled for their continued support. Under-10: Training continues on Wednesdays at 5.15pm and Saturdays at 11.15am. There will be challenge matches soon. Under-12: The under-12 group one and four hurling teams welcomed Ferbane/Belmont to McDonagh Park for two competitive challenge games last Saturday. We look forward to travelling back to the Faithful County in a couple of weeks for a return fixture. With all the boys back to school this week; training will continue on Saturdays only for the month of September. Under-14: Our under-14 hurlers put in a spirited display from first to last whistle in the north Tipperary under-14A hurling final on Wednesday last in Cloughjordan, but unfortunately fell short in the end to a strong Roscrea team. It has been a super season of sport for these great lads, winning the north football final and reaching the north hurling final. Our thanks go to manager David Minogue, Donie O’Brien and Mike Hallinan for all their hard work and to the boys themselves for the huge effort they put in all year. We wish Roscrea all the best in their county semi-final. To read a report on the heroic efforts of our under-14s please click here. Under-16: The under-16 hurlers are through to the semi-finals of the north championship where they will play the winner of Newport versus Ballina on Monday, September 16th. week. Best of luck lads. The Munster juvenile handball finals were played over the last two weeks. Nenagh’s Eimear Meagher won the under-13 singles while her sister Sinead won the under-14 singles. The combination of Jerry Foley (Ballinahinch) and Eamonn Spillane (Nenagh) won the Emerald Master B Doubles. Nenagh’s Eamonn Spillane also won the Diamond Master B Singles. Under-10: Our under-10 team played in the Maura Walsh Blitz in Dundrum two weeks ago and reached the semi-finals. It was a fantastic day out and was enjoyed by all the players. Thanks to Dundrum for hosting the tournament. The girls played in another fantastic blitz last Saturday in The Ragg and also played Newport in a game on Monday last. Minor: Our minors play Clonoulty-Rossmore away on Tuesday in the championship. Junior B: Our juniors are playing Moneygall on Saturday at 4pm in Moneygall in the championship. We wish them the very best of luck. Skirts: Club skirts at the subsidised cost of €10 are available from Denise Morris. Bereavement: We extend our sympathies to Louise Hickey and her family following the death of her aunt. A clothing recycling drive in aid of the Nenagh Éire Óg juvenile club took place on Saturday. Thanks to everyone who contributed to this hugely successful event. 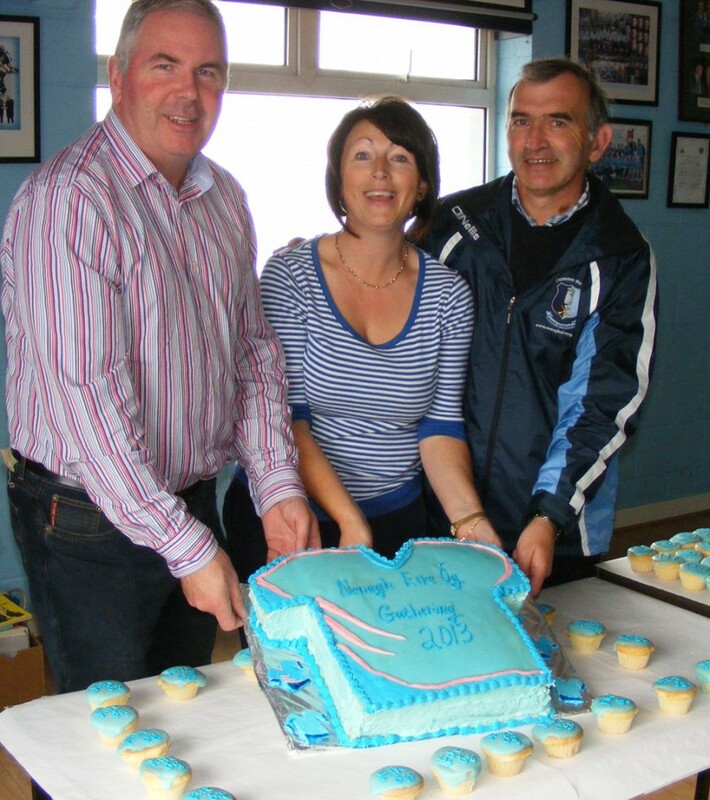 Nenagh Éire Óg are proud to host a 2013 ‘Gathering’ event on Sunday, September 8th (2-6pm) with all proceeds going to the Shane Delaney Trust. Entry is free and we have something for all the family with face-painting, outdoor games and lots of activities for the younger kids and live music with super band Outa Diesel. 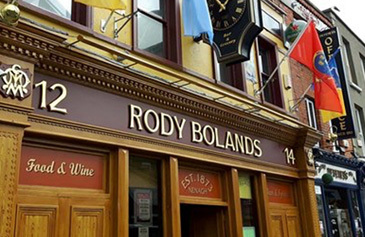 We will also be showing the All-Ireland hurling final on a giant screen. So, come and watch the match and enjoy the craic. Free refreshments will be served throughout the day and all are welcome.